Real Madrid have finally found Cristiano Ronaldo’s replacement within the club. New manager, Julen Lopetegui has decided to promote Spanish forward, Marco Asensio as Ronaldo’s replacement in the team. Before now, a host of names have been linked with Real Madrid, including Neymar, Kylian Mbappe and Eden Hazard. Hazard openly admitted he would like a move to Real but Chelsea have refused to sell, placing a £177.9million price tag on him, to scare buyers away. 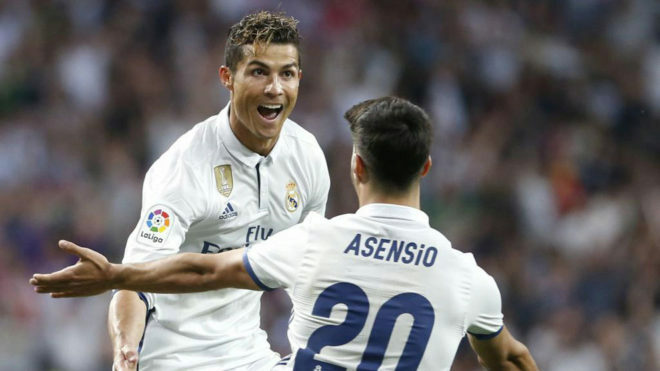 Spanish newspaper, Marca reports that for this reason, Lopetegui has assessed his squad over pre-season and decided on how he will replace Ronaldo with Asensio. The newspaper claimed that Lopetegui would rather use Asensio in his front three than spend a “ludicrous sum” on Hazard. Real Madrid have also accepted the fact that Neymar will not be joining the club this summer.